Big, bigger or biggest? 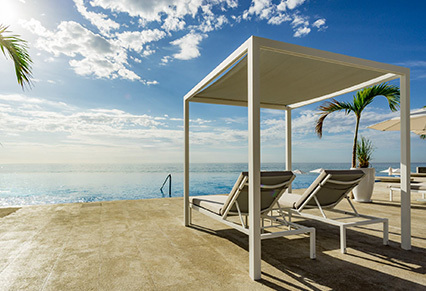 In the Sea of Cortez, marine life comes in all three sizes. You don't have to be a risk taker to get in the water, as there's no danger of becoming lunch for an animal ten times your size—though a young sea lion might take a playful nip at the tip of your swim fins. For the memory of a lifetime, you can slip overboard for a swim with the biggest fish in the sea, or hold position while a curious gray whale calf approaches your boat, closely followed by its attentive 40-ton mother. The most reliable whale shark swims take place near a point of land some ten miles from the port of La Paz. Visits to the Sea lion colonies near Isla Partida begin with a longer boat ride of 20-some miles, making it an all-day trip. Gray whale encounters take place in Magdalena Bay, in the sheltered water on the Pacific side of the Baja Peninsula. Year-round encounters with large colonies of curious California brown sea lions take place around the shores of Los Islotes. Near La Paz, snorkelers can slip into the water to swim with huge but harmless whale sharks. Each winter, gray whales return to the shelter of Magdalena Bay, providing a rare chance for up-close encounters. 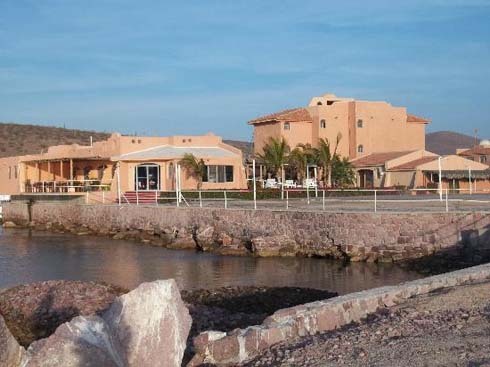 Bring or rent a wetsuit for winter swims, as waters in the Sea of Cortez can drop to 70 degrees or below. For longer boat rides, fill a compact and water-resistant day pack with sundries such as sunscreen, towels, and possibly a dry change of clothing. Ask about sea conditions for longer trips to coastal islands and include motion-sickness meds if needed. The Socorro Vortex will cater to the most sophisticated & demanding divers by offering the finest in luxury liveaboard scuba diving. 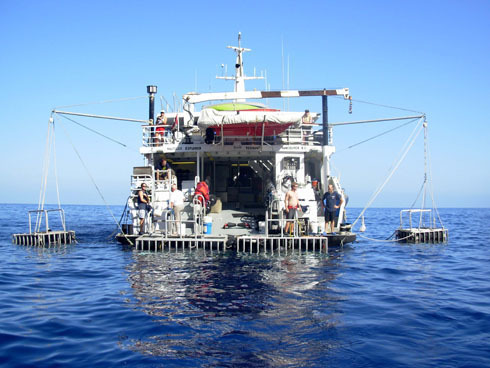 With only 14 guests onboard, you will receive the highest quality dive experience for the lucky few! Luxury diving is followed by topside elegance plus unmatched and personalized service. 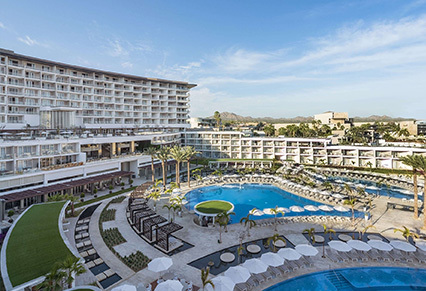 Gourmet dining with a complimentary selection of the best Baja California beer and wine, expansive common areas, plus top-of-the-line beds, linens, towels and bath robes will ensure your comfort onboard. This luxury liveaboard specializes in pampering small groups of divers on diving expeditions to some of the most exciting big animal destinations on Earth. 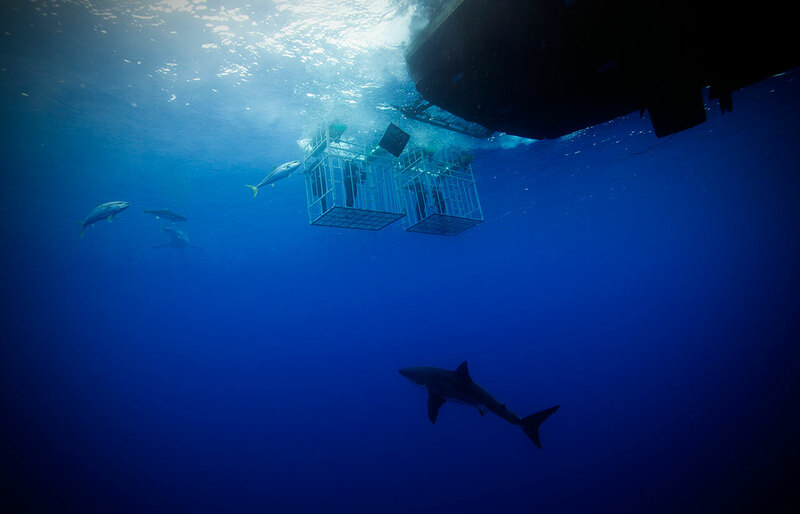 Experiences include cage encounters with Great White Sharks for both divers and non-divers in clear blue water of Guadalupe Island Non-divers have use of surface air supplied cages “hookah” while certified divers have access to submersible cages. All meals included. 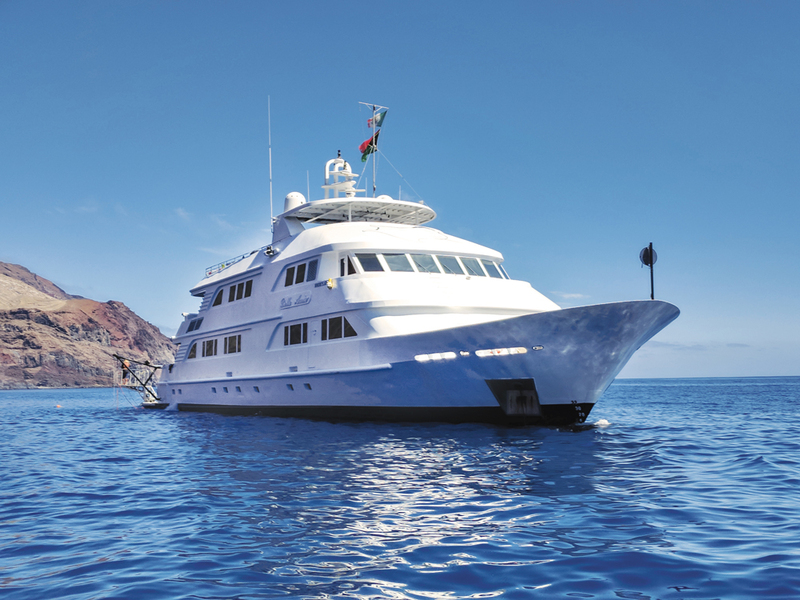 This luxury liveaboard provides optimal diving year-round visiting the fabled Socorro Islands, Sea of Cortez and Guadalupe Island where divers experience some of the best animal encounter on the planet while being pampered by a friendly and professional staff. Click below for more information on 4-night Guadeloupe Island Great White Shark Itineraries. Contact us for current availability as these trips do sell out quickly. 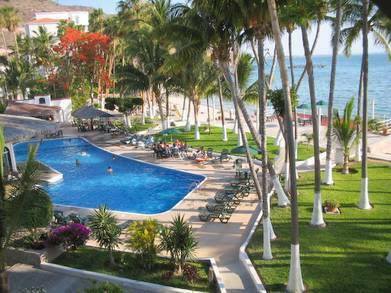 See separate listing for 8- night Socorro Itineraries.